Boy oh boy, if there’s ever a time when my cravings erupt and seem to dominate every aspect of my life, it’s during the Christmas holiday season. Yikes! Unless you get a handle on the Cravings Beast, he’ll take you down and probably win every time! The result? You eating more of what you DON’T want to eat and putting on the very pounds you’re looking to shed. Look out: It’s chocolate Santas, pumpkin pie, and the big holiday ham. Sometimes, all the exercise in the world just doesn’t seem to be enough. 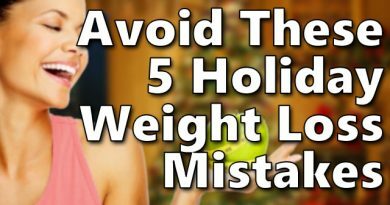 So here are four excellent ways you can ward off that extra yearning for all those goodies you really don’t need during Christmas, allowing you to keep your holiday weight loss goals in check! Many people like to enjoy their coffee in the morning during the winter, but the problem with this is that caffeine tends to be connected to sugar cravings. When you have caffeine in your system, it then starts to crave more of that same boost in energy, which often leads you to wanting sugary treats. If you struggle a lot with cravings, now is a good time to give up or reduce your caffeine intake. The same can be said for alcohol, which also leads to worse cravings and sugar-eating binges. Instead of drinking all the soda, coffee, wine, and alcoholic beverages, switch to water. Flavor the water if you need to, such as infusing the water with cranberries and oranges for a seasonal water, or just adding some lemon slices to each glass. This makes it feel like you are having a flavored drink, but all you are drinking is clean water with some healthy fruit juice inside. Water makes you feel full, takes away cravings, and the fruit can help with the sweet tooth as well. There are healthier ways to fulfill those sugar cravings when not having anything isn’t working out for you. For example, if everyone around you is eating fudge and cookies, and the sugar cravings are too much, try eating some fruit. Fruit has natural sugars that aren’t bad for you, but definitely help to fulfill your craving for something sweet. To make it more like a dessert, dip fruit in melted dark chocolate for a little sweet treat or try adding some homemade whipped topping on top of the fruit. You can also drizzle it with honey, which is still far less fattening than other Christmas treats. You can also find some other activities that take you away from your cravings when they are hard to battle. If you don’t want to overeat during the Christmas season, find somewhere else to go away from the food or treats and write in a journal or go for a walk. This can help boost your mood and take your mind off the food you are craving. Here’s a video which shows you some easy and effective ways to reduce your sugar cravings. You’ll see that you can accomplish this simply by eating more of a few certain foods, namely: Fiber, protein, healthy fats, and sour foods. 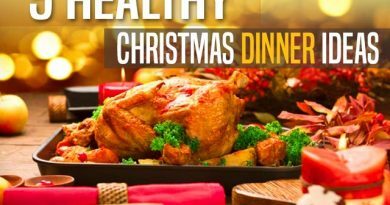 You’re now armed to fight off your cravings this Christmas holiday season so that YOU dominate and control them, and not the other way around!